Product categories of Video Converter, we are specialized manufacturers from China, Video Converter, CVI Fiber Video Converter suppliers/factory, wholesale high-quality products of TVI Fiber Video Converter R & D and manufacturing, we have the perfect after-sales service and technical support. Look forward to your cooperation! N-NET Video Converter Applied to CCTV networks, video conferencing ,Industrial monitoring systems, Distance learning ect.Fiber optic transmission of 1/2/4/8/16/32/64/128 video + audio + data + contact closure + Ethernet signals on one fiber with RS485,RS232 and RS422 data signals(three of each) which may be one way with the video or optionally duplex. Super optical dynamic range, no adjustment needed, No electromagnetic interference, radio frequency interference and ground current, Status indication for power supply, optical signal and video. 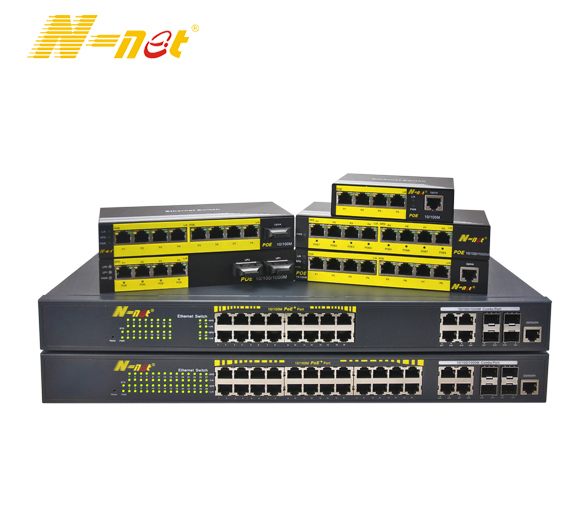 N-NET offer AHD/CVI/TVI/CVBS Fiber Video Converter,HD-SDI Video Converter, Analog CCTV Transmission.